Mobile security app Wegilant has raised $500,000 (Rs 3.2 crore) in pre-Series A round of funding from NASSCOM's Ravi Gururaj, former Gupshup CTO Viswanath Ramachandran and other investors. Gaurav Sharma, director of Yahoo Inc; SINE-IIT Bombay Business Incubator; RippleWave and an unnamed IT security firm have also put money in the company, as per a press statement. Wegilant will use funds from this round for technology expansion, R&D and customer acquisition. The app, which is presently Android-based, will also be extended to iOS and Windows operating platforms. "Water tight security of your mobile device is no longer a luxury; it is an absolute necessity...every major brand has a customer facing mobile experience which they now need to ensure is secure for all their stakeholders. Wegilant addresses this critical growing market need with innovative and robust products," said Ravi Gururaj, chairman of NASSCOM product council. Wegilant makes Appvigil, a mobile app that checks security vulnerabilities in other apps on a phone. The app, built on patent-pending technologies, is used by various app development companies to check the life-cycle of their apps and to resolve issues. 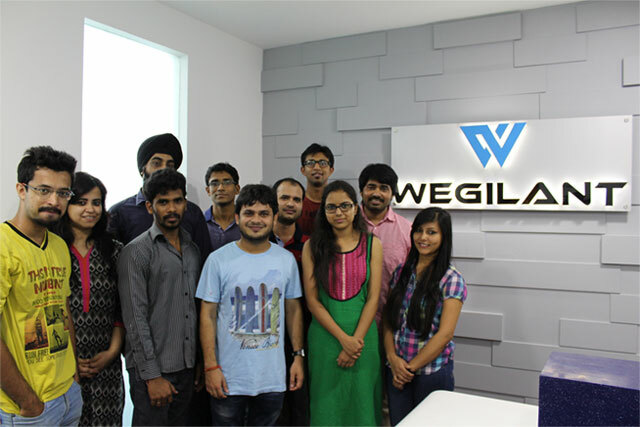 Wegilant was founded in 2011 by Toshendra Sharma while he was a first year student of master's in computer science at IIT Bombay. The company was incubated at SINE-IIT Bombay Business Incubator in August 2014. Wegilant Net Solutions Pvt. Ltd.